Islamic Jihad sources say that the ceasefire between Gaza leadership and Israel does not include the launching of incendiary kites, the journalist Suleiman A-Shafi told Avri Gilad and Hila Korach this morning, Sunday, on Channel 2. A-Shafi's remarks were made as the security establishment remains alert ahead of the afternoon hours, when the young people of the Gaza Strip routinely use the wind to launch mortars and helium balloons into the fields of nearby Jewish communities. A-Shafi said that Islamic Jihad elements with whom he is in contact claim that launching the kites and balloons is a “popular activity” that is not included in the ceasefire. 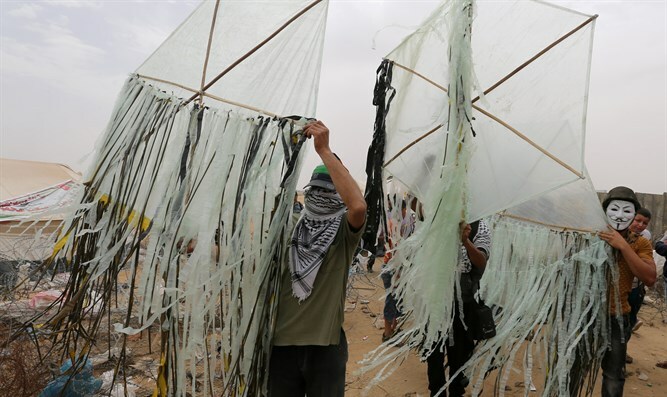 A-Shafi also noted that, in the eyes of Hamas and Islamic Jihad, launching kites is part of the “freedom of expression” that jihadists seek for themselves.